With a career that bridges the worlds of Americana and avant-garde jazz, percussionist Aaron Latos has worked with artists including country star Margo Price, free jazz legend Karl Berger, and folk-punk accordionist James Fearnley (of the Pogues). Currently based in New York's Hudson Valley, Aaron works as a session musician in the Hudson Valley and NYC, as well as international touring with bands including 50s rock and roll/r&b powerhouses Screamin' Rebel Angels, Americana rocker Stephen Clair, and a number of forward-thinking, creative jazz musicians including Ira Coleman, Peter Apfelbaum, Karl Berger, Ken Filiano, and Sana Nagano. 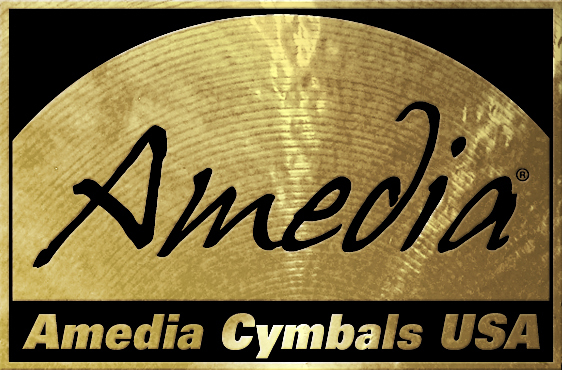 "Amedia cymbals are lovely instruments. Though each individual cymbal has a unique personality, they all share a particular midrange "grit" that really speaks to me. They're cymbals with real character and personality... finely crafted but not overworked. I really don't believe that any other contemporary Turkish cymbalsmith knows how to balance trash and clarity, white noise and projection the way the craftspeople at Amedia do." An Amedia artist since 2012, Aaron is also an endorsee of Beato Bags and Finnegan Hill Irish Percussion.